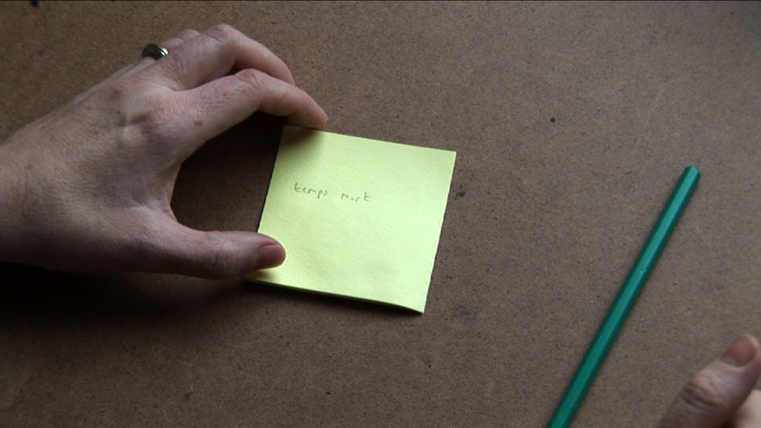 In Script (3) Winter studio we see the artist enter her studio and write the words 'temps mort' on a sticky note. The term 'temps mort' refers to a shot that lingers on a scene after the main action has finished or has moved on. 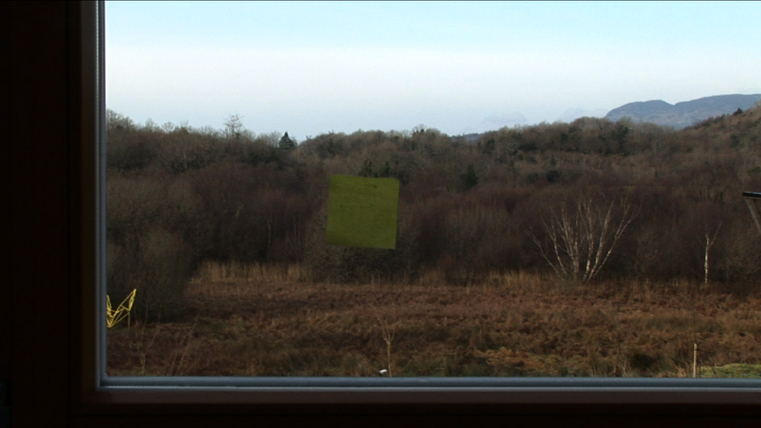 The note falls from where it was stuck to the window, while the camera remains for a prolonged view of the winter scene. 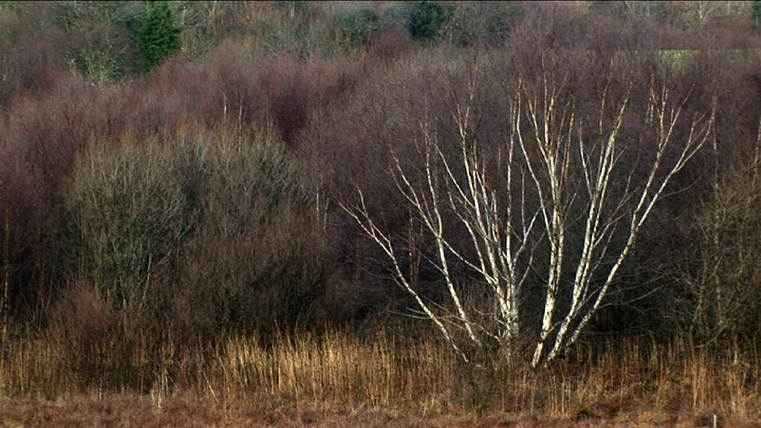 Script (3) Winter studio is the third in a series of short films, showing the artist making words, relevant to the filmed activity or making reference to filmic terms. Shot where the artist works they take the form of filmic exercises of studio activity. The Script Series explores the textuality of the written word while considering issues pertaining to film's specificity.